I was first introduced to Baja SAE while passing by one of the cars in the Rettner Atrium on an engineering tour of the university. I have always been a big fan of automotive engineering and racing. One of my favorite races has always been the Baja 1000, a high-speed off-road race through the desert of the Baja California Peninsula that pushes the limits of engineering and driver skill. When I discovered that there was a club at the University of Rochester that was based on this event, I wanted in immediately. I was told that nearly all the design, fabrication, and testing was done by undergraduate students. At that moment, that was very hard to believe. There was no way a group of undergraduate students could possibly understand all the intricacies of designing and fabricating a fully functioning race car. Several months later when I arrived on campus I learned that I was completely wrong. I learned that something really special happens at this club. 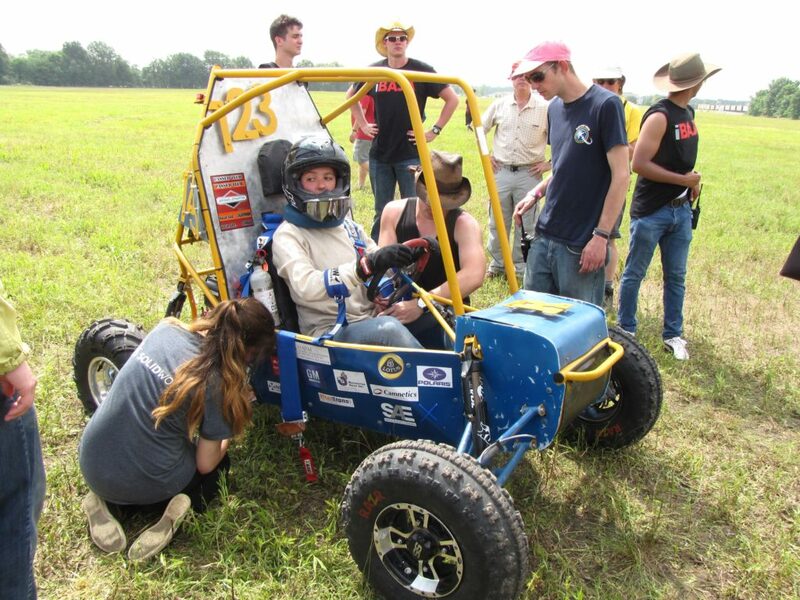 It all starts with a common goal: designing and building a single-seater off-road race car each year to compete in competitions across the nation. When that goal is presented to a bunch of passionate, solution-oriented people and after some research and trial and error, a race car pops out. I think what makes the club so successful is that everyone brings their personal experiences, skill sets, ambition, and work ethic to the table. Additionally, despite being a complex engineering project, absolutely no prior knowledge or experience was required. You don’t even have to be an engineer to join! I was amazed by that, and the fact that it was easy to hop in and get caught up to speed on current projects and goals. The 2017-2018 season has been an amazing experience thus far. I have had the chance to really challenge myself, apply what I know, and acquire new knowledge and skills such as machining, welding, and computer-aided design. I find it to be the perfect complement to the academic work I do during the week. 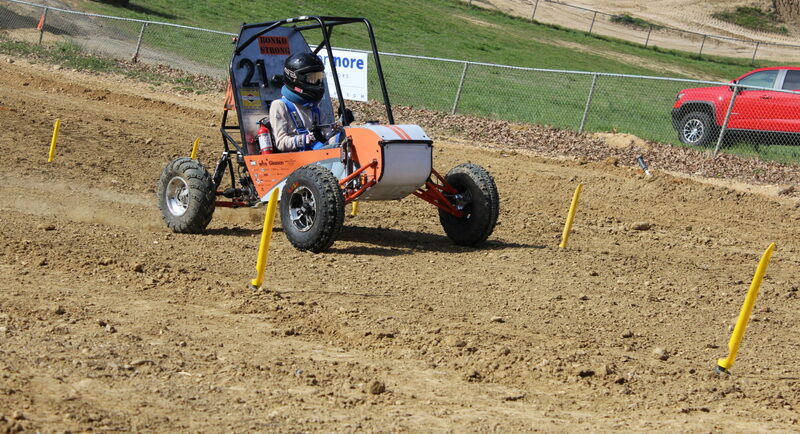 I really look forward to the upcoming competitions this spring and the future seasons to come.